The race will begin on Morton St next to the Wolfe building. 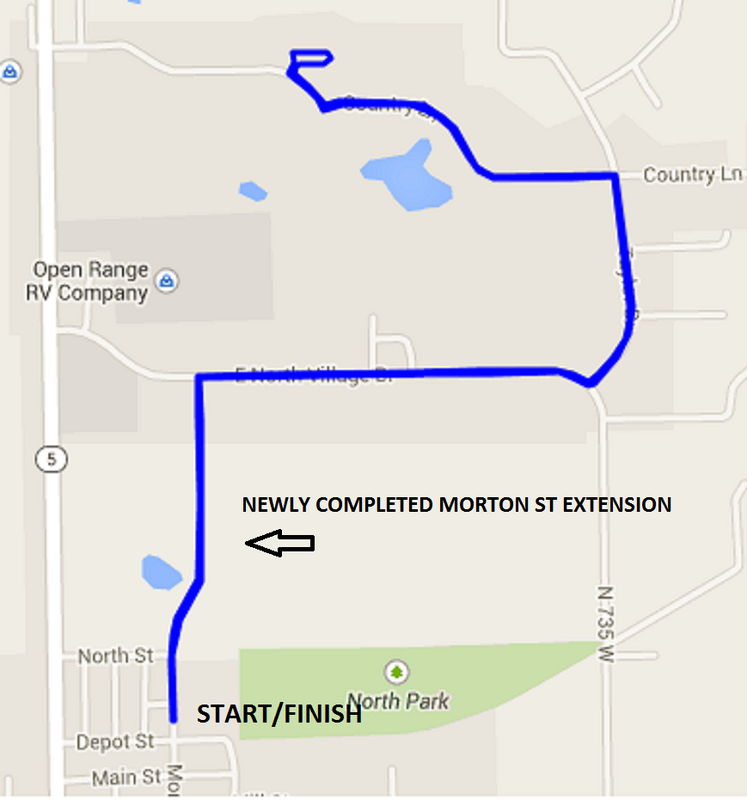 From there, it will head north on the newly completed Morton Street extension to North Village Dr, east to Taylor Dr, north to Country Lane, and finally west to the parking lot of the IU Health Center. Runners will make a loop in the parking lot then return to the start/finish line by the same route. For an interactive satellite view of the course, click here.